We’re very pleased to introduce the first artists joining us in Los Angeles for the 2018 edition of our summit for music-makers, Loop. They’re producers and performers from across the globe, who all take extraordinary approaches to everyday music-making challenges. 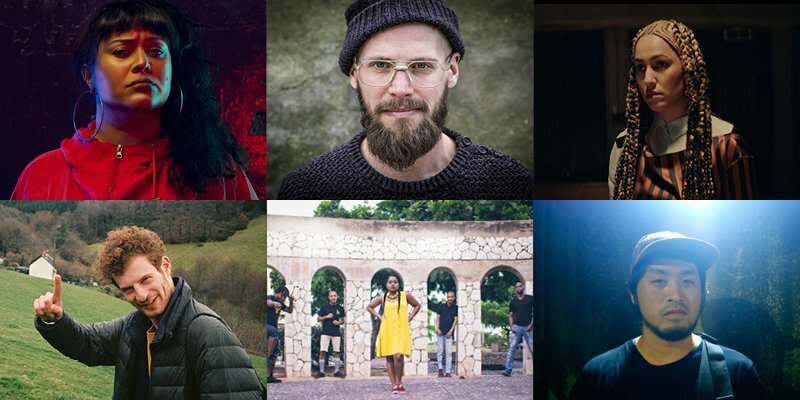 Jamaica-based production crew Equiknoxx and leftfield Japanese artist Foodman will shed light on the unique creative processes and far-out sound design they use to deconstruct the genres that inspire them. Dutch producer-percussionist Binkbeats and Egyptian-Iranian pop-experimentalist Lafawndah will run through their compelling live performances and explore what it really means to play live. They’ll be joined by Woodstock-born musician Photay; an artist who’s mastered the art of storytelling with recorded sound, and who’ll share with us his music’s special blend of narrative arc and polyrhythms. We also welcome another storyteller – New Zealand-based rapper and writer Coco Solid; she’ll reveal the lyrical narratives and approach to creative collaboration behind her prolific back catalogue. This year Loop – three days of of talks, performances and hands-on workshops on the topics of music, technology and creative practice – will be held across a handful of neighboring venues in Hollywood from November 9-11. There’s still time to register for tickets for the summit. Further guests and program information for the event will be released in the coming weeks. Check out the latest on the program and find out more about Loop 2018.